"Our primary aesthetic aim is to propagate works of art which will help destroy all traces of bourgeois individualism." 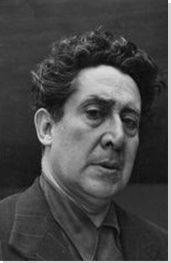 Siqueiros was the youngest of "los tres grandes" (three greats) of Mexican muralism, along with Diego Rivera and José Clemente Orozco. He was also the most radical of the three in his technique, composition and political ideology. Informed by revolutionary Marxist ideology, his career was dedicated to fostering change through public art. Over the course of five decades, he integrated avant-garde styles and techniques with traditional iconography and local histories. He, like Rivera, firmly believed that technology was a means to a better world and he sought to combine traditions of painting with modern political activism. 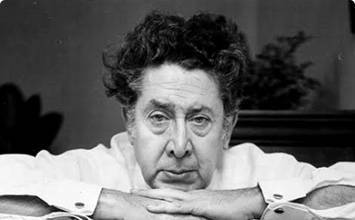 Investing his work with his Marxist ideology, even when it cost him commissions and jeopardized his work, Siqueiros epitomizes the politically engaged artist. Unlike some of his contemporaries, he refused any commission that conflicted with his ideology. His commitment to education and his belief that public art could inform and inspire the masses to demand revolution has served as a model of activism for subsequent artists with political or social agendas. To create his activist and revolutionary public art, Siqueiros brought together elements of avant-garde painting with traditional art historical symbolism and folk art. With this combination, he believed that he generated dynamic forms with popular appeal, capable of delivering educational content to a disenfranchised public. In his experimentation with unconventional materials and industrial techniques, Siqueiros expanded the range of avant-garde painting. His Siqueiros Experimental Workshop, led in New York, exposed students (including Jackson Pollock) to contemporary notions of automatism and accident, and encouraged them to adopt new approaches to how paint could be applied. His leadership was crucial in breaking away from traditional techniques of fine art to more gestural and individualistic means of painting. Born in the small town of Santa Rosalia, Mexico, José de Jesús Alfaro Siqueiros was raised from the age of four by his paternal grandparents after his mother died. His grandfather, Antonio 'Siete Filos,' was a conservative man of harsh temperament and Siqueiros later remembered him as the very incarnation of Mexican machismo, taking it upon himself to toughen up the young Jose and his little brother by unexpectedly throwing rocks at them or waking them up in the middle of the night by tickling them. Such "games" were part of his "School of Men" and continued until Siqueiros was sent to a religious boarding school at age 11. On the ceiling over the staircase in the small courtyard of the National Preparatory School, Siqueiros depicted a monumental winged female surrounded by representations of the four elements. Reflecting Siqueiros's study in Europe, the work combines elements of Byzantine icons in the sandy-colored background, with a sculpturesque figure inspired by Renaissance painter Masaccio. Around this figure are symbolic representations of fire (vivid red abstract flames), wind (horizontal spirals that balance the vertical of fire), water (the seashells) and earth ("two giant bones of a tropical fruit"). In relying on these abstract notations of the elements, Siqueiros creates a timeless depiction of Mother Nature and her realm. With this, his first public commission, Siqueiros sought to differentiate himself from the muralists that had previously painted in the school, including Diego Rivera. The intense colors maximize the contrast with the simple background. The female figure is weighty and distinct in her plasticity, unlike the flat, picturesque forms seen in the rest of the building (such as Rivera's Creation). Although the work has much in common with the work of other early muralists in its use of allegory and universal symbolism, the formal treatment of the figure is markedly his own, and reflects his understanding of traditional European painting. The original commission for this outdoor mural was intended to show the abundance of tropical America, however Siqueiros created a highly politicized critique of American imperialism. A crucified American Indian appears in the very center of the work. A menacing eagle, a clear symbol for the United States, is perched atop the cross. Behind the Indian, a Mayan temple in the process of being engulfed by tropical plants, forever to be forgotten. On the top right, watching the tragic spectacle, a Mexican and a Peruvian, are shown armed and ready to defend their land and culture from the apparently inevitable victory of American capitalism culture over their own heritage. Perhaps unsurprisingly, the mural was hostilely received and whitewashed within two years. Siqueiros used the visibility of this mural to promote his extreme sociopolitical views, attacking US imperialism in its own territory. He would continue to make explicit and denunciatory murals throughout his career, earning him a rebellious reputation. Although the work was extant for only a short period, it was influential for its use of materials and activism. Furthermore, he experimented with industrially produced tools at the time, using unconventional airbrushing. The mural would gain significance some 30 years later, when urban artists during the Civil Rights movement and Vietnam War protests would regard it as the grandfather of outdoor murals. Moreover, Jackson Pollock's Bird has undeniable compositional affinities with Siqueiros' eagle. Pollock must have learnt about the work through his brother, Sanford, who worked as an assistant in the construction of this piece. This large fresco, located in a relatively small library, spans two facing walls and the ceiling to create a single vault-like shape that dwarfs the viewer with its impressive, larger-than-life figures. The south wall (shown) depicts the Chilean indigenous peoples in their struggle for freedom and independence from the European Conquistadores; the north wall echoes this with representations of indigenous Mexicans. In the center appear historic fighters, most visibly the 16th-century Mapuche warrior, Galvarino, who raises his maimed hands. Attached to his body is the head of 19th-century Chilean philosopher Franciso Bilbao. Combined, this joint figure symbolizes the need for both physical and mental force in combat. Around them are gathered other figures of resistance and independence, including Lautaro, Luis Emilio Recabarren, Bernardo O'Higgins and President José Manuel Balmaceda. Siqueiros also depicts the Old Chilean flag, the new flag, and the current one. The energy and pathos of the scene is shown through the tense muscles, Galvarino's battle cry, the extreme foreshortening and the merging quality of the figures and the background that appear as a nebulous ensemble of bodies and projectiles. It was Siqueiros' intention to convey the drama of the scene not simply through color or anatomical deformation but through spatial dynamism. This represents the passage into his mature style, in which he believed that creating an active and unconventional sense of space could introduce new levels of viewer engagement (and therefore increase the impact of his work). Siqueiros mirrored Sergei Eisenstein's editing techniques in cinema, creating multiple perspective viewpoints as opposed to the fixed Renaissance perspective expected in more traditional painting. Located on the second floor gallery of the Palace of Fine Arts, next to murals by Rivera and Orozco, this nearly 20' x 40' mural was painted to celebrate the victory over fascism at the end of WWII. This mural depicts a woman with exposed breasts, wearing a revolutionary Phrygian cap, raising her arms from the chains that had enslaved her. She looks to the skies with a pained expression, recalling the horrors of the war. In one hand she carries a torch with freedom's flame and in the other, a white flower. A third, heavily muscled arm emerges from her body to represent the triumph over fascism, whose personification lies foreshortened on the ground, a crumpled form painted in grisaille. This is the central panel of a triptych, along with panels commemorating the Victims of War and Victims of Fascism. This straightforward mural was not well received; critics deemed it too simplistic and banal, as if Siqueiros had reduced art to mere advertising. Despite the biting criticism, he defended the work, claiming it demonstrated a "post-baroque" aesthetics before its time. In its accessible symbolism and relative legibility, however, this work best exemplifies Siqueiros's view of "a fighting educative art for all." He would continue to spread this style of figurative, unambiguous, and easily understood art through Latin America, inspiring artists such as the Argentine Antonio Berni, the founder of the New Realism movement. This monumental panel is part of a diptych Siqueiros painted on the second floor of the Palace of Fine Arts. This portion depicts the last Aztec Emperor, Cuauhtemoc, whose alleged remains had recently been discovered. This scene portrays the 16th-century hero being tortured by the Spaniards to make him confess the location of the Montezuma treasure. The stoic Cuautemoc lies supine as the flames begin to consume his legs. Crying desperately beside him appears Tetlepanquetzal, a Mexican king. Behind a wall of armored, anonymous Spanish soldiers appears La Malinche, a woman of noble blood who became a slave when she was gifted to the conquistador Cortes to become his translator. On the left, a personification of the Country, dressed in red, throws her arms up, and is imitated by a young maimed girl beside her. The faceless Spaniards watch impassively, Siqueiros has stripped them of their humanity, but a vicious dog in the center of the composition condenses the pathos of the mural. The mural embodies Siqueiros' view of Mexican history, in which Good is clearly demarcated from Evil. The accompanying panel, The Apotheosis, stretches from this historical moment to the contemporary to include a schematic depiction of the atom. Combined, the two murals allude to the invention of the atomic bomb, and the unjust pain and destruction made possible by military superiority and inhumanity. To Siqueiros, this inequity was not limited to Mexican history or national identity, but concerned the human race as a whole. Located in the vestibule of a hospital, this mural is painted on a paraboloid or egg-shaped surface so large and engulfing it can confound and overwhelm the viewer with visual input. Only when split into episodes or formal groups does the scene becomes intelligible: on the left, a dramatically foreshortened Prometheus brings the fire of civilization to man. To his left, a group of workers mourn the loss of a companion, killed by a machine. On his right, a group of women march forward triumphantly, carrying symbols of nourishment, life, freedom, poetry and love. On the other side of the wall, a group of workers and intellectuals similarly march united towards freedom. A rainbow and a five-point star crown the work. This piece demonstrates Siqueiros's ideal of multiple viewpoints - or as he called it "polyangular perspective." He wanted the mural to be experienced in motion by a mobile viewer who observed it from various angles, a complete break with the single, "static" viewpoint of an easel painting. He achieves this goal of kinetic reception in this piece, as the figures are activated by the viewer moving through the space. This project, the largest mural in the world, comprises the interior and exterior of an entire building, as well as the walls surrounding it. Designed as a political and cultural center, the Polyforum Cultural Siqueiros includes several exhibition spaces, most notably the Forum Universal which houses the interior section of this mural. Standing on a rotating platform and listening to Siqueiros's narration, the viewer witnesses The March of Humanity unfold around him. An endless sea of people march from a past riddled with negative symbolism towards the triumph of Revolution. The ceiling depicts an archetypical man and woman: the Adam and Eve of a new society. The iconological program, ultimately, is about a march towards freedom, justice, and peace. Within this procession, Siqueiros included five portraits of men who had given Mexico a new, idiosyncratic art: Rivera, Orozco, Guadalupe Posada, Dr. Atl, and Leopoldo Mendez. This painting is only one component of the mural project, which also includes the exterior of the dodecagon building, where Siqueiros painted complex motifs of Christ, liberation, sacrifice and peace. The construction of the complex and its decoration was a monumental undertaking, a collaborative project that brought together international teams of architects, artists, and engineers in the construction of a space of public education. As his last and most ambitious work, it encompasses all of the Siqueirian motifs of visual arrest, vigorous movement, eclectic use of tools and materials, and a romantic and triumphant vision of Revolution.